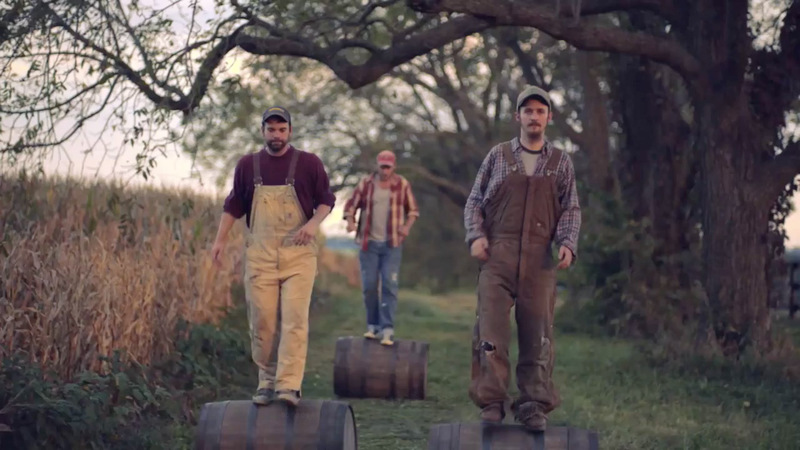 Bourbon Ad Shows You the Peculiar Way People Get Around in Woodstock, Ky.
Woodstock Bourbon's ad showing its hometown's enthusiasm for the brand is pretty funny (well, besides that "Barrellel Parking" sign—groan). But it's right on the brink of being one of those fake homespun liquor ads that Henry Rollins used to laugh at, what with the fiddle music and rural aesthetics. It's like O Brother Where Art Thou? but less subtle. Perhaps this is because it was made by Australian agency CumminsRoss for the Australian market, and so it needs to show a somewhat cartoony version of Kentucky. Still, you can't deny the funny visuals. Perhaps Mila Kunis can take a day trip from the Beam distillery in Clermont and learn how to barrel roll like this.